The #INFTreaty — the proud achievement of Reagan and Gorbachev — is now destined for the dumpster because of the ignorance of @realDonaldTrump. Such mindless escalation of nuclear danger is insane. 🚨 It’s 2 minutes to midnight. • Via the New York Times / Welcome to the New Age of Nuclear Instability / by Rachel Bronson, Bulletin of Atomic Scientists: The good news is that the downward spiral can be stopped. WASHINGTON / May 2018 — For the White House, these have been dramatic days for nuclear disarmament: First President Trump exited the Iran deal, demanding that Tehran sign a new agreement that forever cuts off its path to making a bomb, then the administration announced a first-ever meeting with the leader of North Korea about ridding his nation of nuclear weapons. But for the American arsenal, the initiatives are all going in the opposite direction, with a series of little-noticed announcements to spend billions of dollars building the factories needed to rejuvenate and expand America’s nuclear capacity. GreenPolicy Siterunner / The imminent US Nuclear Posture Review brings additional danger in its proposal for new 'usable' tactical nuclear systems and launch capabilities. The so-called current US Nuclear Triad is in fact much than a three-pronged delivery system and new so-called limited yield, 'dial up' nuclear weapons and expanded delivery systems is a recipe for disaster. The US Congress and public need to look at these new systems more closely before they are funded/developed and/or deployed, as in the case of the F-35 nuclear cruise missiles and 'smart' guided nuclear warheads. The notion that the current president would have usable nukes under his singular authority to launch should be a cause for alarm in itself. Strategic Demands has proposed legislation to address this -- as has the US Congress, having held its first hearing in over 40 yrs on nuclear command and control. One year after the election of a new US president, today, the US Congress held a committee hearing to consider presidential nuclear first use/first strike authority. The last time this nuclear command and control issue was considered by Congress in an open hearing was over forty years ago. It is a profound issue and a rising crisis has the US president threatening first use, preemptive strikes against North Korea. Nuclear retaliation and catastrophe looms as 2018 approaches. GreenPolicy and our associate organization Strategic Demands continue to track the crisis and advocate for immediate diplomacy and new controls over first use of nuclear weapons. In an article published in Foreign Policy in 1984, Jeremy Stone (https://en.wikipedia.org/wiki/Jeremy_Stone) concluded that "presidential first use [of nuclear weapons] is unlawful." Concern than over nuclear use and resulting cataclysmic consequences has reached mainstream media around the world. Threats to obliterate a country (North Korea) made on social media (Twitter) by one man who can order nuclear strikes with sole authority is unacceptable. As Green politics has since its inception argued again nuclear weapon proliferation and threats of nuclear use, we continue to point out the existential, human and environmental risks. It is time for new international controls over nuclear weapons systems, command and control. The Day After is a 1983 American television movie that aired on November 20, 1983, on the ABC television network. It was seen by more than 100 million people during its initial broadcast. It is currently the highest-rated television movie in history. The movie postulates a fictional war between NATO forces and the Warsaw Pact that rapidly escalates into a full-scale nuclear exchange between the United States and the Soviet Union. However, the action itself focuses on the residents of Lawrence, Kansas, and Kansas City, Missouri, as well as several family farms situated next to nuclear missile silos. Donald Trump, inaugurated on January 20th as the 45th U.S. president, raised the prospect of the first big nuclear arms control agreement with Moscow since the Strategic Arms Reduction Treaty signed by President Barack Obama in 2010. "They have sanctions on Russia — let’s see if we can make some good deals with Russia," the Republican president-elect was quoted as saying by The Times. "For one thing, I think nuclear weapons should be way down and reduced very substantially, that’s part of it. But Russia’s hurting very badly right now because of sanctions, but I think something can happen that a lot of people are gonna benefit." Lockheed Martin Missiles and Fire Control is studying a new small size cruise missile design, optimised for internal carriage, under its LCMCM programme. This is part of a wider effort by the company to produce a family of reduced size future weapons that includes the Surveilling Miniature Attack Cruise Missile (SMACM). Like the SMACM, the LCMCM is intended to equip the internal weapons bays of the F/A-22 Raptor and F-35 Joint Strike Fighter. The new missile is planned to be in the 1,000 lb weight class and to offer a range of 1,000 miles. Lockheed Martin is conducting its LCMCM studies with the US Air Force Research Laboratory, at Eglin AFB. During 2002 Lockheed Martin built and flew a cruise missile technology demonstrator known as Owl. If one is dealing with combat with a small nuclear power (like North Korea), it is not enough to shape a completely conventional warfare strategy. It is incumbent on the force planner to integrate nuclear strike into the planning and in providing a means to persuade the adversary that it is simply not credible to use his nuclear weapons as a first strike weapon or a weapon that can not be neutralized in effective ways by attacks on his C2 (Command and Control), delivery assets or storage facilities. It is about designing from the ground up a credible offensive-defensive capability to effectively defeat a small nuclear power. It is not about wishful thinking or remaining in the rules of engagement shaped in the first nuclear age; it is entering into an age where the use of nuclear weapons can be imagined once again. The US Navy refers to the shaping of such distributed capabilities in terms of either “distributed lethality” or the “kill web.” The notion is that strike is distributed throughout a web or honeycomb and that strike can be distributed through a self learning web operating in a high threat environment. It is crucial as well to design weapons which can be integrated into an offensive-defensive or distributed force where very limited use would be envisaged and only in clear need of doing so. This is why what nuclear warheads, which have historically been called tactical nuclear weapons, combined with advanced delivery technologies becomes a key focus of attention in one’s warfighting force. The F-35 when married to a small yield nuclear weapon clearly can be a key part of such an evolution. The ability of the F-35 to command situational awareness of 360 degree space and to be able to determine with high precision a target set, and to operate passively while doing so, provides an ideal platform for the delivery of a small yield weapon against appropriate targets as part of an overall campaign against an aggressive small nuclear power. The redesign of weapons associated with the evolution of the aircraft, and perhaps other delivery vehicles such as hypersonic weapons needs to be part of the effort to deal with second nuclear age powers. It is about clearly both the evolution of weapons technology as well as delivery technology. And with the software upgradeable approach of the F-35, their can be an open ended evolution of the aircraft highly interactive with the evolution of weapons delivery and performance as well. The F-35 is a block upgradeable aircraft; in the fourth block in the evolution of the aircraft, currently under design and testing, nuclear weapons delivery will be integrated onto the aircraft. The rapid escalation of nuclear weapons systems by the US, Russia, China and other nuclear weapon capable countries has another news flash — the announcement by the Russian Federation of a change in schedule for a next generation of nuclear MIRVs. The new production dates have been moved up with the next iteration of the multiple nuclear warhead Sarmat RS-28. The RS-28 has been labeled Satan-2 by adversaries. Satan-1 missiles, though fully capable of producing a global apocalypse, will be ‘retired’ to be replaced by the more assuredly apocalyptic Satan-2 . The public position of the Russian government is the newest massive offensive and defensive capabilities are necessary to counter a trillion dollar plus nuclear weapons “modernization” by the US and allies. Cold War 2.0 is gathering momentum. The United Nations today adopted a landmark resolution to launch negotiations in 2017 on a treaty outlawing nuclear weapons. This historic decision heralds an end to two decades of paralysis in multilateral nuclear disarmament efforts. The resolution will set up a UN conference beginning in March next year, open to all member states, to negotiate a “legally binding instrument to prohibit nuclear weapons, leading towards their total elimination”. The negotiations will continue in June and July. StratDem: "A New Nuclear Arms Race"
As Stephen Hawking points to "runaway climate change", he also points at the other existential threat he sees -- nuclear weapons. We at GreenPolicy360 and our associate Strategic Demands continue to point out escalating threats on both fronts, even as the political establishment rushes forward to modernize a new generation of nuclear, 'smart' weapons and the fossil fuel industry fights to continue business-as-usual with unmatched money and political influence. "Nuclear weapons remain one of the greatest threats"
APRIL 29, 2015 / WASHINGTON, DC – Yesterday evening, during the House Armed Services Committee’s consideration of the FY2016 National Defense Authorization Act, H.R. 1735, Committee Member Congressman John Garamendi (D-Fairfield, CA) introduced and spoke in favor of a series of amendments that seek to better inform Congress about the costs and risks of America’s participation in a new nuclear arms race. Dimitri Kusnezov, chief scientist of the National Nuclear Security Administration, fully subscribes to his agency’s commitment “to maintain a safe, secure and effective nuclear deterrent without nuclear testing,” but he also describes a more nuanced view of the contingent future of nuclear testing in a world that is always changing. “What does it take to ensure that we are actually stressing the system, that it’s not just a scientific or virtual side of the exercise? That if we have to deliver something we can?” he asked during a telephone interview this week. If necessary, he wonders, can the United States build the right weapon in a reasonable time frame to meet its national security needs? “At the moment, we don’t see testing as an important part of that,” he said. “But we look at that carefully and that’s a real-time assessment that we are running continuously.” He worries that in the years to come, that Department of Energy nuclear laboratory directors who have not been involved in nuclear testing would not deeply understand how the guarantees for integrated total system performance must work in the domain of nuclear weapons. “It’s not visible to most people what we have to do to replace what we could do with the testing,” he added. At a recent meeting of a local arms control group in Los Alamos, N.M., John Hopkins, a former J-Division (weapons testing) director at the Los Alamos National Laboratory, addressed the subject of “Nuclear Testing: What is Needed and Why.” The talk expanded on a theme he had previously prepared for an audience at the Los Alamos National Laboratory, and Hopkins said he was surprised at that time by the amount of interest in the subject. One question from his most recent audience was whether he was calling for a return to testing. Hopkins said he was not advocating testing, but rather describing what would need to be done, assuming testing became necessary, “People have no idea how big and expensive nuclear testing was, hundreds of millions of dollars a year and thousands of people,” he said after the meeting. The studies that would have to be done just to decide where to test, along with the environmental issues and new technical questions, would be daunting, and it would be hard to estimate how long that might take today. Those questions, Hopkins believes, would probably be easier to address than the political concerns that would be unavoidable. The House Armed Services Strategic Forces Subcommittee, chaired by Rep. Mike Rogers (R-Ala.), has been developing a plan that first appeared in the fiscal 2013 National Defense Authorization Act under the title “Design and use of prototypes of nuclear weapons for intelligence purposes.” The legislation directed the head of the National Nuclear Security Administration to arrange for the Los Alamos, Lawrence Livermore, and Sandia national laboratories to design and build experimental nuclear packages “to further intelligence estimates with respect to foreign nuclear weapons activities,” adding the explicit provision that no nuclear yield would be produced in the testing of these prototypes. In the same authorization, at the behest of Congress, the NNSA administrator was instructed to initiate a National Academy of Sciences study of the nuclear weapons-related peer review and design competition activities among the three laboratories. Then, last year, a new section, “Stockpile Responsiveness Program” was added to the authorization bill, with a more elaborate set of prescriptions, including the request for “status, plans, activities, budgets and schedules for carrying out the stockpile responsiveness program” for the five years after the plan is submitted. When the NAS study was concluded, it was the subject of a Strategic Forces Subcommittee hearing earlier this year, potentially laying the groundwork for authorizing additional quasi-testing activities. 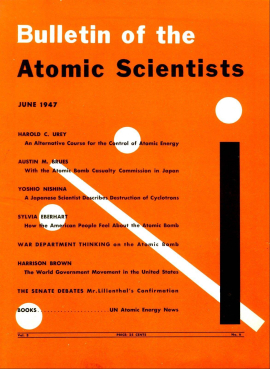 The study recommends a lab design competition, for example, in which “the winning design would be carried through to a prototype device.” However, “The device would not be manufactured for the stockpile and would only be tested in a manner consistent with U.S. treaty obligations—that is, without nuclear yield.” Nonetheless, along with the experience gained, there would be a new nuclear explosion package available, should other conditions change. "Current and proposed USAF nuclear weapon systems are especially vulnerable to the application of logic and restraint. Former STRATCOM commander and former Vice-Chair of the Joint Chiefs of Staff James Cartwright recently stated in Geneva that the US ICBM force “has no deterrent value.” Former Secretary of Defense William Perry agrees. (Nota bene: the current JCS Vice-Chair has been recruited to this symposium to say the opposite.)" "Perry, plus former Assistant Secretary of Defense for Nuclear, Chemical & Biological Defense Programs Andrew C. Weber (who was maneuvered out of his job by some of the speakers at this symposium), Senator Feinstein, and many others oppose the proposed stealthy, destabilizing LRSO cruise missile. Opposition to the B61-12 continues, especially in European public opinion." "So to some extent the Air Force nuclear commands and their friends are whistling in the dark on these programs, and that is what this symposium is about as well." "We at the Study Group do not want the USAF to have a nuclear mission. Nuclear weapons are reprehensible in every way, but all the Air Force weapons make particularly poor sense right now. In our view, U.S. national security would be greatly improved by the immediate retirement of all USAF nuclear weapons." The U.S. Nuclear Weapons Council has selected the W80-1 thermonuclear warhead for the Air Force’s new nuclear cruise missile (Long-Range Standoff, LRSO) scheduled for deployment in 2027. The W80-1 warhead is currently used on the Air Launched Cruise Missile (ALCM), but will be modified during a life-extension program and de-deployed with a new name: W80-4. Under current plans, the ALCM will be retired in the mid-2020s and replaced with the more advanced LRSO, possibly starting in 2027. The Vatican has long opposed nuclear weapons, but Pope Francis is making the cause one of the top diplomatic priorities of his two-year-old papacy. On Thursday (April 9th), two events on opposite sides of the planet signaled Pope Francis’ diplomatic reach ahead of the NPT review. In New York at the United Nations’ headquarters, the Holy See’s Mission to the U.N. and the Global Security Institute hosted a conference of diplomats and interfaith partners to promote the abolition of nuclear weapons. At the Vatican, a United States diplomatic delegation was courting Catholic Church leaders on President Obama’s commitment to nuclear disarmament. As the US representative is reported as meeting with the Pope to speak of nuclear disarmament policy, another report discusses US actions to slow disarmament efforts at the UN. What is the extent of the President's 'commitment' to nuclear disarmament? Though the United States may have taken the lead in the international diplomatic initiative against Iran's nuclear program, the Obama administration has also taken the lead in undermining the United Nations' efforts to promote nuclear arms control and disarmament elsewhere. [T]he U.S. was one of only seven countries to vote against a resolution calling for accelerating the implementation and monitoring of nuclear disarmament commitments and was one of only three countries to vote against a paragraph in the resolution emphasizing the importance of a successful review conference for the Nuclear Nonproliferation Treaty (NPT) later this year. In a resolution stressing the fundamental role of the NPT in achieving nuclear disarmament and nonproliferation and urging India, Israel and Pakistan to accede to it as non-nuclear-weapon states, the U.S. was the only country other than these three last NPT holdouts to vote against it. The U.S. was also the only country to join these three countries in voting against the call for them to place their nuclear facilities under International Atomic Energy Agency safeguards. The Vienna Conference on the Humanitarian Impact of Nuclear Weapons took place from 8 to 9 December 2014. It addressed the humanitarian consequences of any use of nuclear weapons, including effects on human health, the environment, agriculture and food security, migration and the economy, as well as the risks and likelihood of the authorized or unauthorized use of nuclear weapons, international response capabilities and the applicable normative framework. Delegations representing 158 States, the United Nations, the International Committee of the Red Cross, the Red Cross and Red Crescent movement, civil society organisations and academia participated in the Conference. The UN Secretary General and Pope Francis conveyed messages to the Conference. The President of the ICRC addressed the participants. Hibakusha, the survivors of the nuclear explosions in Hiroshima and Nagasaki, and victims of the effects of nuclear testing also participated in the Conference and gave their testimonies and experiences. Their presence and contributions exemplified the unspeakable suffering caused to ordinary civilians by nuclear weapons. The impact of a nuclear weapon detonation, irrespective of the cause, would not beconstrained by national borders and could have regional and even global consequences, causing destruction, death and displacement as well as profound and long-term damage to the environment, climate, human health and well-being, socioeconomic development, social order and could even threaten the survival of humankind. The scope, scale and interrelationship of the humanitarian consequences caused by nuclear weapon detonation are catastrophic and more complex than commonly understood. These consequences can be large scale and potentially irreversible. The use and testing of nuclear weapons have demonstrated their devastating immediate, mid-and long-term effects. Nuclear testing in several parts of the world has left a legacy of serious health and environmental consequences. Radioactive contamination from these 2 tests disproportionately affects women and children. It contaminated food supplies and continues to be measurable in the atmosphere to this day. As long as nuclear weapons exist, there remains the possibility of a nuclear weapon explosion. Even if the probability is considered low, given the catastrophic consequences of a nuclear weapon detonation, the risk is unacceptable. The risks of accidental, mistaken, unauthorized or intentional use of nuclear weapons are evident due to the vulnerability of nuclear command and control networks to human error and cyberattacks, the maintaining of nuclear arsenals on high levels of alert, forward deployment and their modernization. These risks increase over time. The dangers of access to nuclear weapons and related materials by non-state actors, particularly terrorist groups, persist. There are many circumstances in which nuclear weapons could be used in view of international conflicts and tensions, and against the background of the current security doctrines of States possessing nuclear weapons. As nuclear deterrence entails preparing for nuclear war, the risk of nuclear weapon use is real. Opportunities to reduce risk must be taken now, such as de-alerting and reducing the role of nuclear weapons in security doctrines. Limiting the role of nuclear weapons to deterrence does not remove the possibility of their use. Nor does it address the risks stemming from accidental use. The only assurance against the risk of a nuclear weapon detonation is the total elimination of nuclear weapons. No state or international body could address in an adequate manner the immediate humanitarian emergency or long-term consequences caused by a nuclear weapon detonation in a populated area, nor provide adequate assistance to those affected. Such capacity is unlikely ever to exist. Coordinated preparedness may nevertheless be useful in mitigating the effects including of a terrorist event involving the explosion of an improvised nuclear device. The imperative of prevention as the only guarantee against the humanitarian consequences of nuclear weapons use was highlighted. Looking at nuclear weapons from a number of different legal angles, it is clear that there is no comprehensive legal norm universally prohibiting possession, transfer, production and use. International environmental law remains applicable in armed conflict and can pertain to nuclear weapons, although it does not specifically regulate these arms. Likewise, international health regulations would cover effects of nuclear weapons. The new evidence that has emerged in the last two years about the humanitarian impact of nuclear weapons casts further doubt on whether these weapons could ever be used in conformity with IHL. As was the case with torture, which defeats humanity and is now unacceptable to all, the suffering caused by nuclear weapons use is not only a legal matter, it necessitates moral appraisal. The catastrophic consequences of a nuclear weapon detonation event and the risks associated with the mere existence of these weapons raise profound ethical and moral questions on a level transcending legal discussions and interpretations. States, international organisations, UN entities, the Red Cross and Red Crescent movement and civil society representatives recalled their deep concern at the catastrophic humanitarian consequences of any use of nuclear weapons. They welcomed the convening of the Vienna Conference on the Humanitarian Impact of Nuclear Weapons. Participants appreciated the 3 testimonials of survivors of nuclear weapons use and testing, including for educating and raising awareness among youth. Many delegates expressed concern about the limited progress in nuclear disarmament and stressed the view that humanitarian considerations should no longer be ignored but be at the core of all nuclear disarmament deliberations. They welcomed the broad participation, including by several nuclear weapons possessor states. They also considered that the discussions would contribute to the implementation of the 2010 NPT Review Conference Action Plan and earlier undertakings and the achievement of a meaningful outcome to the 2015 NPT Review Conference that takes nuclear disarmament efforts forward. Moreover, they reiterated the importance of the entry into force of the Comprehensive Nuclear-Test-Ban Treaty as a key element of the international nuclear disarmament and non-proliferation regime. Many delegations expressed their concern that military doctrines in several States continued to set forth rationales and operational planning for the use of nuclear weapons. Many delegations noted that the discourse on the humanitarian impact of nuclear weapons has revealed that nuclear weapons pose an unacceptable risk, that this risk is higher than commonly understood and that it continues to increase over time. Protection of civilians is a fundamental duty of States and requires particular care on their part. Many delegations affirmed that in the interest of the very survival of humanity nuclear weapons must never be used again, under any circumstances. Many delegations considered that the existence and possible use of nuclear weapons and the resulting unacceptable consequences raise profound moral and ethical issues. In light of sustainable development challenges, concern was expressed about the diversion of funds for nuclear weapons. Many delegations considered that the growing understanding of the risk posed by nuclear weapons, including the likelihood and devastating humanitarian consequences of their use, underscores the urgent need for all States to pursue effective measures for the achievement of nuclear disarmament. States expressed various views regarding the ways and means of advancing the nuclear disarmament agenda. A range of legally binding collective approaches to achieving progress toward a world without nuclear weapons was discussed. Many delegations reaffirmed that the total elimination of nuclear weapons is the most effective way to prevent their use. Many delegations expressed appreciation for the important contribution of civil society and researchers in all aspects of advancing nuclear disarmament and non-proliferation and the achievement of a world without nuclear weapons. The necessity of a multilateral and inclusive approach in pursuing this objective was highlighted by many delegations. The majority of delegations underscored that the final elimination of nuclear weapons should be pursued within an agreed legal framework, including a nuclear weapons convention. A number of delegations argued that a step-by-step approach was the most effective and practical way to achieve nuclear disarmament, referring in particular to the entry into force of the CTBT and a Treaty banning the production of fissile material for nuclear weapons. These delegations also noted that the global security environment needs to be taken into consideration in discussions about nuclear weapons and nuclear disarmament. In this connection, they promoted various unilateral, bilateral, plurilateral and multilateral, building blocks that should and can be taken in the near-to mid-term in support of a world without nuclear weapons. Many delegations stressed the need for security for all and underscored that the only way to guarantee this security is through the total elimination of nuclear weapons and their prohibition. They expressed support for the negotiation of a new legal instrument prohibiting nuclear weapons constituting an effective measure towards nuclear disarmament, as required also by the NPT. It was recognized that the obligation to pursue effective measures for nuclear disarmament, as expressed in article VI of the NPT, resides with each State Party, and that there are practical steps that States can take now to pursue such measures in good faith. A number of delegations considered that the inability to make progress on any particular step was no reason not to pursue negotiations in good faith on other effective measures to achieve and maintain a nuclear-weapon-free world. Such steps have been taken very effectively in regional contexts in the past, as evidenced by nuclear weapon free zones. Participants at the Vienna Conference were conscious that 2015 marks the 70th anniversary of the use of nuclear weapons in Hiroshima and Nagasaki and that calls for nuclear disarmament in this connection have been palpable and poignant. They considered that it is critical to sustain partnerships among States, the Red Cross Movement, international organisations, Parliamentarians and civil society with a view to translating the widespread concerns about the risks and consequences associated with nuclear weapons into concerted steps to achieve a world without these armaments. The overwhelming majority of NPT States Parties expects that the forthcoming 2015 NPT Review Conference should take stock of all relevant developments, including the outcomes of the Conferences on the Humanitarian Impact of Nuclear Weapons, and determine the next steps for the achievement and maintenance of a nuclear-weapon-free world. ... The United States also has reduced the role of nuclear weapons in its national security strategy as outlined in the U.S. Nuclear Posture Review (NPR). Specifically, as outlined in the 2010 NPR, the United States will not develop new nuclear warheads, and life extension programs for existing weapons will not support new military capabilities or provide for new military capabilities. Additionally, as reflected in the NPR, the United States has strengthened the negative security assurances that it provides to non-nuclear weapon states who are party to the NPT, and made clear that the United States would only consider the use of nuclear weapons in extreme circumstances to defend the vital interests of the United States or its allies and partners. Academic experts contribute to the review process through the generation of new ideas and concepts. Also, while governments are oftentimes bound by political and other practical constraints, scholars can contemplate issues more independently and with a longer time horizon. For that reason, the Netherlands government has taken the initiative to organize, together with the United Nations Office for Disarmament Affairs (UNODA), the Belfer Center for Science and International Affairs of Harvard University, and the James Martin Center for Nonproliferation Studies at the Monterey Institute an academic symposium at the start of the 2015 Review Conference, to take place on April 28. GreenPolicy360: The return of a Cold War conditions forebodes a heating up of nuclear weapons policy. News systems are budgeted and in development. ‘Modernization’ and ‘stewardship’ auger a next generation of nuclear capabilities and nuclear risk, proliferation and potential for mistakes, miscalculation, error, provocation, escalation, and war. With nuclear war will come disaster. Historically, our era is at another turning point. The road of negotiation that was followed for the past two decades after the collapse of the Soviet Union is no longer a path toward general peace. The political forces that pushed and accomplished a set of treaties and agreements including START and the New START now are under political pressure and new nuclear capabilities are the order of the day. Although one can debate the extent of new nuclear weapons development -- warheads, systems, missiles and delivery vehicles, including the newly revealed nuclear-carrying mission for the advanced F-35 -- it cannot be disputed that any number of nuclear weapons nations are ‘upgrading’ and deploying nextgen nukes. In jeopardy are nuclear weapons treaty regimes. Efforts toward non-proliferation, testing and new capability bans, disarmament reductions, and roll back of 'hair-trigger' instant-response launch-on-warning systems are in the process of being halted and pushed back. Progress toward nuclear risk reduction has slowed and an escalating risk horizon is presenting multiple scenarios with potential for flashpoints. 4) A move to deploy ‘usable’ tactical nuclear weapons and systems argued by those urging first-use, preemptive strikes, ‘bunker-busting’ and updated cruise/sub-launched missiles as part of a broader Mideast war strategy. Before we consider over the coming months each of these strategic options, here is the point of view of Greg Mello of the Los Alamos Study Group. Greg Mello/LASG have three decades of experience in monitoring nuclear weapons developments. We urge all states to commence negotiations on a treaty to ban nuclear weapons at the earliest possible time, and subsequently to conclude the negotiations within two years. This will fulfill existing obligations enshrined in the Nuclear Non-Proliferation Treaty, which will be reviewed in May of 2015, and the unanimous ruling of the International Court of Justice. Negotiations should be open to all states and blockable by none. The 70th anniversary of the bombings of Hiroshima and Nagasaki in 2015 highlights the urgency of ending the threat of these weapons. I hope you appreciate that this is NOT a vague call for nuclear disarmament in general – sort of disarmament or nuclear abolition “not otherwise specified.” Still less is it a “vision” of disarmament, or a vision of a hypothetical “world without nuclear weapons.” Such vague clichés have little value today. Neither is this statement an endorsement of step-by-step disarmament under a paradigm in which nuclear deterrence is considered legitimate. It is silent on bilateral or multilateral disarmament negotiations. It is not an endorsement of reciprocal unilateral disarmament steps. It is not an endorsement of “confidence-building measures,” or of entry-into-force of the Comprehensive Test Ban Treaty (CTBT). It is not an endorsement of a comprehensive binding nuclear disarmament treaty – a nuclear weapons convention. All these measures, attractive as some of them are, require the support and cooperation of nuclear weapon states. Negotiations to achieve them are rooted in the security policies of nuclear weapon states, and begin on the basis of the legitimacy of nuclear weapons and nuclear deterrence. That is not what the Nobel Peace Laureates said. By contrast, most U.S. reporting about the Vienna Conference, led by this statement submitted to the Conference by the Arms Control Association and others, and by this statement from 118 notable arms control and disarmament figures, is rooted in current security policies and hence the tacit validity of nuclear deterrence. Such reporting completely omits mention of what was novel in the Vienna Conference, namely an explicit call for a ban on nuclear weapons expressed by dozens of states, the Pope, hundreds of NGOs, and now the Nobel Peace Laureates. A core concern at Strategic Demands is the modernization and new capability add-ons to the B61 nuclear weapon system. "From the violation of Ukrainian national borders, to the breach of the Budapest memorandum, through to Putin's ominous August rhetoric reminding Western leaders of Russia's status as a strong nuclear power, events in Eastern Europe have led to worsening of an already difficult climate for discussions on the issue of removal of American B61 gravity bombs deployed in five European states. "...existing defense and deterrence mechanisms, international legal and allied security guarantees and assurances, and their viability and effectiveness, have been subject to renewed examination..."
"Against such a climate of uncertainty, insecurity and confrontation, it is difficult to imagine a serious consideration of prospects for nuclear disarmament in Europe by political leaders from NATO member states."